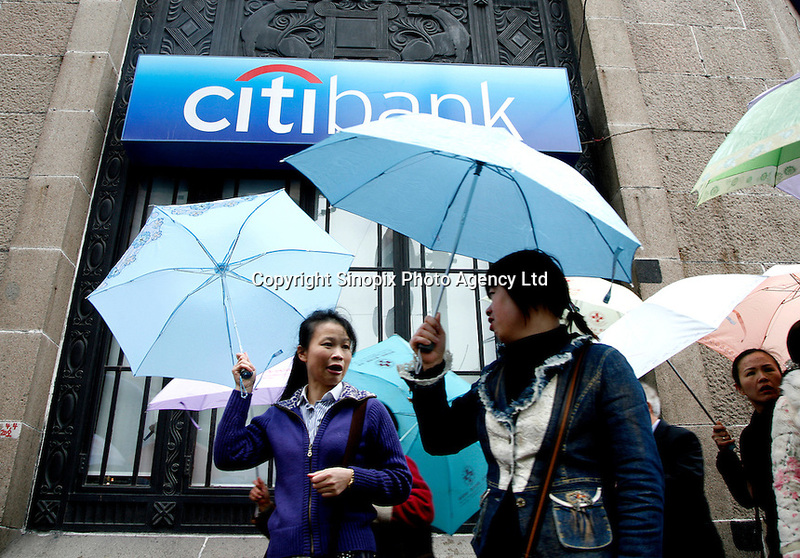 Pedestrians walk past a Citibank branch in Shanghai, China. Citigroup Inc. plans to increase its China headcount by one-third in 2007, as it opens new branches and boosts its small and medium-sized enterprise business. .